Cambridge, UK – September 26th 2018 – Telensa, the world leader in smart street lighting and smart city applications, today announced that it is working with FarSite Communications to integrate its wireless bin monitoring into the Telensa smart city dashboard. By deploying FarSite wireless netBin sensors, local authorities and their contractor partners can get an instant snapshot of the performance of their waste operations, in order to improve efficiency and quality of service. 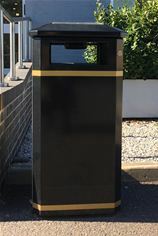 Telensa is deploying netBin sensors as part of a trial of smart city technologies in Essex and Hertfordshire, that also includes traffic, gully and environmental monitoring.